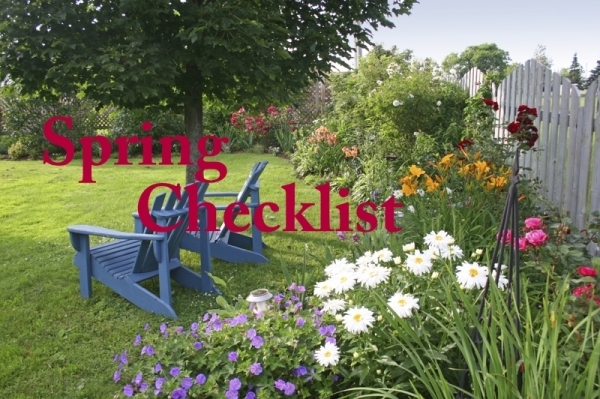 With spring finally here in Maine , it is definitely time to start preparing your home for the warmer months ahead of us. This should include taking on any of the projects that you have been putting off until warmer weather arrived. Review the list of projects that you were putting off all winter and prioritize and tackle the most important. If you are planning on putting your home on the market during the coming seasons, these tasks are even more important. moving furniture and getting to those areas that have not been touched all winter long. having the chimney cleaned and inspected. taking down & cleaning drapes or curtains and cleaning the windows while they are bare. Before the weather turns unbearably hot and you need to start running the air cooling system of your home, you should inspect and prepare your system to ensure that it is ready to properly cool your home. You should change any filters, inspect the hose connections looking for leaks and ensure that your drain pans are in proper working order. look for any damage to your roof, siding and foundation. During winter the snow, ice and colder temperatures can all impact the exterior of your home. thoroughly clean your deck and patio to notice if any damage has occurred. do the rain gutters on the house need to be cleaned? check out the flower beds, trees and shrubs… Is mulch, pruning or weeding as needed? review the yard… what condition is the grass in? Once you have made a list of repairs that need to be taken care of, you will be able to schedule and take care of these tasks before the heat of summer arrives.